Catch a glimpse of Shanghai’s vibrating atmosphere. Ride under a leafy archway of plane trees in the French Concession, admire Normandy style cottages and relive the atmosphere of “Paris de l’ Orient”. Another option is to discover the old shanghai neighborhood and walk through its narrow lanes. Perfect for an open-air adventure and to experience the sidecar when your time is limited. Your ride is tailor-made, off the beaten path and designed according to your level of knowledge of the area and your centers of interests, respectful of the local culture and all inclusive to offer you a memorable experience. Custom rides and multi-day expeditions are also available in China and in Morocco. CONTACT US If you are trying to book a last minute ride within 24 hours or if you have any questions and just prefer talking to someone. You can email us or you can reach us at +86 138 1761 6975. As this is a private tour, you set the pace. Your Insider will accompany you based upon what you want to see and how long you want to stop. And if you see something you like along the route, just yell STOP! Your wish is our command. 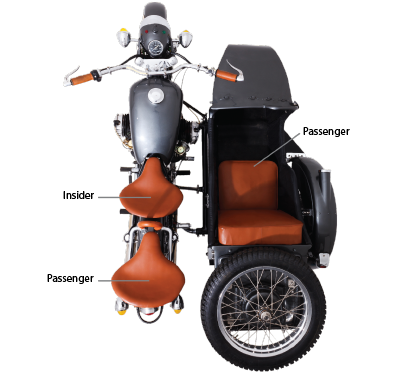 Our sidecars can seat up to 2 passengers from 2 to 99 years old. STANDARD MEETING POINT : Our rides start from the Portman Shanghai Centre (West- Nanjing road 1376). CUSTOM MEETING POINT : Click on Other and type in your pick-up address. Please do enter the number of vehicles needed in the next page. This service comes at the price of 300 CNY per vehicle. 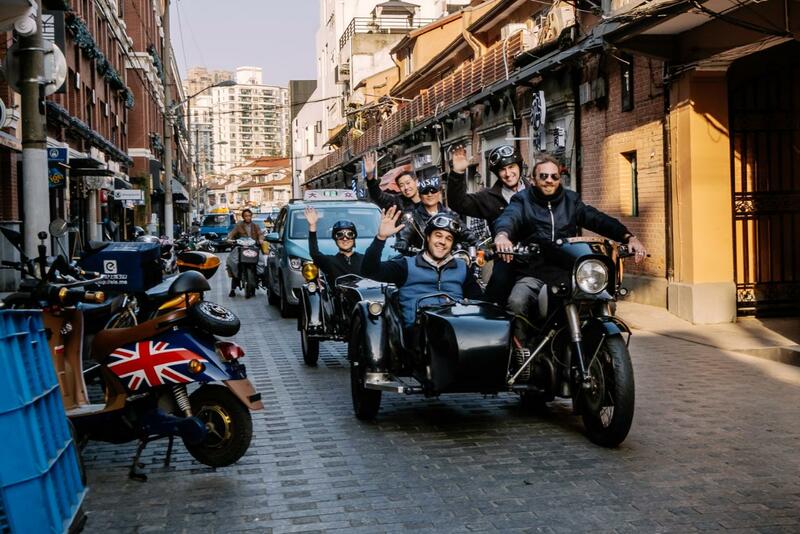 At the end of your ride, we will drop you off wherever you like in downtown Shanghai free of charge. We offer rides in different languages. When you send us your booking form you can ask for an Insider who speaks a language other than English. Rides in French, Dutch & German available. Our rides come with knowledgeable Insiders immersed in local culture, characterful vintage vehicles, rainproof gear and mandatory helmets. Rides exclude meals unless specifically mentioned. For legal & safety reasons, you are not allowed to drive a sidecar. French champagne, private pick ups or special souvenir packs...we do offer a wide array of options to make your experience truly memorable. In case of a no-show or cancellation less than 48h before the scheduled departure, you are held responsible for the total amount of your ride. Visit our help page to find answers to your questions or contact us by email at book@insidersexperience.com.